Buying a Caravan for a holiday home or as an investment is an exciting experience and also something to be thought through carefully. When looking for a used Static Caravan (click here to see our current stock), you will need to do plenty of research on the type of Static Caravan you want, where you want to have it sited, are there any used static caravans for sale on site and what your budget is. Static Caravans come in a variety of sizes so are ideal for families, couples and even single people wanting to have the alternative to a holiday cottage. For those who are retired and want to spend a lot of the year in their caravan, it must be comfortable and warm. Depending on what your requirements are you will want to choose a caravan holiday park that suits your needs. Some used caravans for sale may already be sited at the park of your choice; some will need to be transported to the caravan park you have chosen. Some holiday parks offer fantastic facilities for all the family including children’s parks and entertainment, sports and evening entertainment together with restaurants, shops and bars. Other parks offer much less and are ideally suited to those who want to be in a quiet location with little disturbance. Many things need to be taken into consideration when deciding on where you want to locate your static caravan. A lot of people know an area well and have stayed there several times so the choice is easy. For those who are not so familiar with the area it is worth remembering that if you are not happy with the park you have chosen, you can always have your caravan relocated. The Static Caravan Holiday Home home industry positively thrives in North Wales with an abundance of Holiday Parks catering for even the most discerning of tourists. 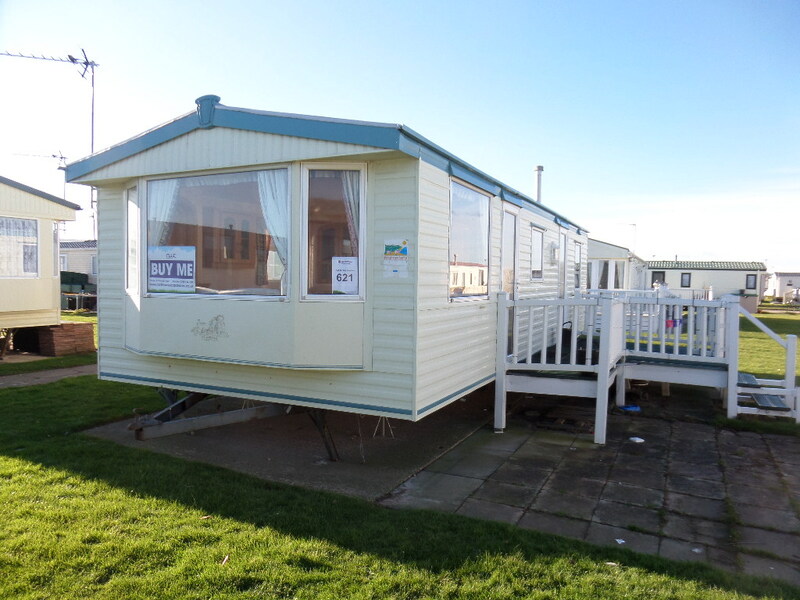 For example, you can find used Caravans for sale on Golden Gate Holiday Centre in Towyn, ranging from starter homes to luxurious models, something to suit every budget. Golden Gate is a family orientated park with so many activities you will be spoiled for choice and so will your children. There’s live entertainment during peak season, lots of events for holidaymakers to participate in; children’s’ club for kids of all ages and of course the usual facilities you would expect on a busy resort like shops, bars and restaurant. Another ‘fun for all the family’ resort is Whitehouse Leisure Centre, one of the best Holiday Parks in Abergele where there is so much to do that you need never leave the park. It has direct access to the beach and on the site, you will find an Amusement Arcade, Play Park for Children, a Snooker Room, Bar, Coffee Lounge, Shop, Launderette and a Hair and Beauty Salon; and of course a restaurant serving delicious food at affordable prices. The park also benefits from free Wi-Fi access. Also in Abergele is Sirior Bach Caravan Park which is an exclusive rural retreat. If you buy any of the Used Static Caravans for sale here you can rely on peaceful holidays or short breaks. Caravans at Sirior Bach are for the exclusive use of their owners and cannot be rented out, so you won’t be disturbed by loud rental parties. There are the usual facilities on site including a restaurant, bar and shop and there are plenty of offsite activities close by. For people on a tight budget, if you really want to own a Static Caravan there are ways you can stretch your budget. Some people find that they can cover all the costs of running their caravan by subletting, especially when it is on a popular site. Rates for renting Static Caravans vary enormously; some achieve quite high rental rates in peak season as well as at other times of the year such as festive periods. There are a few sites for renting out static caravans, such a RentmyCaravan. When you see an advert for a used Static Caravan for sale it is important to make sure that it is a reputable company selling the caravan. It is worth remembering that one day you might want to sell your van so it is advisable to consider the condition the caravan is in when you purchase it. If you don’t have an understanding of the ‘ins and outs’ of caravans take someone with you who does, or if necessary it may be worth having a survey done to make sure you are buying a van that will last. You will also find that some Caravan Dealers offer a warranty. A used Static Caravan can be bought very cheaply but it is important to work out all the additional costs including the cost of your caravan pitch, the site fees and the rates for electricity hook-up etc. If you are looking for Used Static Caravans for sale, North Wales is a great place to start your search. As a UK holiday destination, it’s easy to get to, with excellent transport links, no matter where you live in Britain. It’s also one of the most popular areas in the country, visited by thousands of holidaymakers every year. Buying through North Wales Caravans means that our Used Caravans Sales team can take you to look around any of the previously mentioned Holiday Parks and also several others, to ensure that when you make your purchase, your Holiday Home will be sited in a place that absolutely matches your aspirations. Why not Search our current stock of Used Caravans for sale here or call North Wales Caravans today on 01745 827929 to discuss your requirements.